Professional Locksmith Services , Charlotte | Eastway Lock & Key, Inc. Professional Locksmith Services , Charlotte | Eastway Lock & Key, Inc.
We are proud to be an established, certified locksmith services company in Charlotte, and Myrtle Beach, SC. Most of us have been locked out of a car or a house at some point in our lives or we know someone who has. It can be a scary situation, and it makes us appreciate that there are professionals out there who can assist you during this type of emergency. A professional locksmith has skills and possesses a vast knowledge of many different trades, from engineering to carpentry. To gain such level of expertise, one needs to undergo formal training to receive a certification, as well as take continuing education courses to stay up-to-date on the latest security products and trends. Needless to say, there is always a lot to learn in the business of locksmithing! We are proud to employ certified specialists who are licensed with the North Carolina Locksmith Licensing Board. As professional locksmiths at Eastway Lock & Key, Inc., we highly cherish the trust our clients place in us when asking for our assistance with their automobile, home, or business locks. Our residential locksmith services in Charlotte and Myrtle Beach include any lock repair or replacement, such as home, mailbox and furniture lock rekeying and replacements. 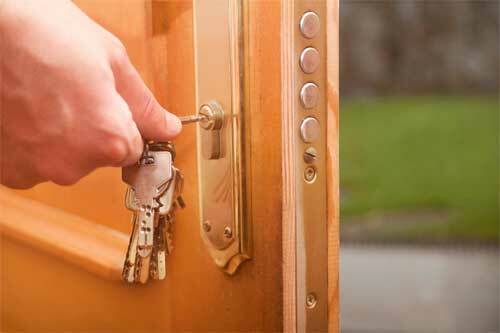 Our locksmith team has worked with many businesses in the Charlotte and Myrtle Beach areas. From repairing a broken key in a file cabinet lock to installing new doors, we can take care of all your commercial locksmithing needs. If you require the services of a professional locksmith in Charlotte, North Carolina, or Myrtle Beach, SC, trust our team at Eastway Lock & Key, Inc. to be your first resource for all your residential and commercial needs. We look forward to working with you to keep your home or business secure.